Measures 30mm including the bail. Please note this is set in silver. 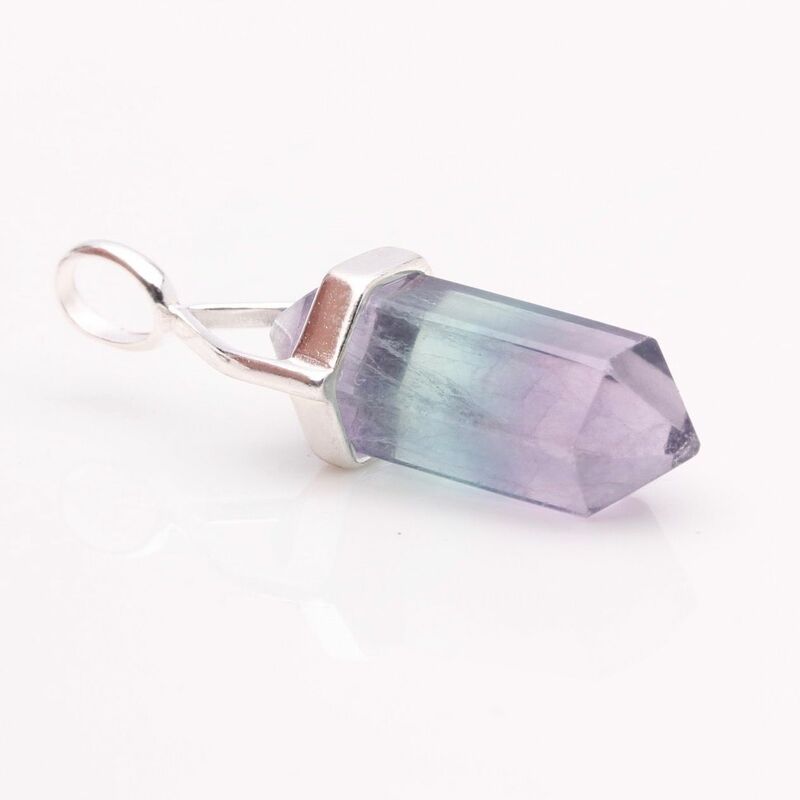 It is suggested that Fluorite is one of nature’s most powerful mental healers. 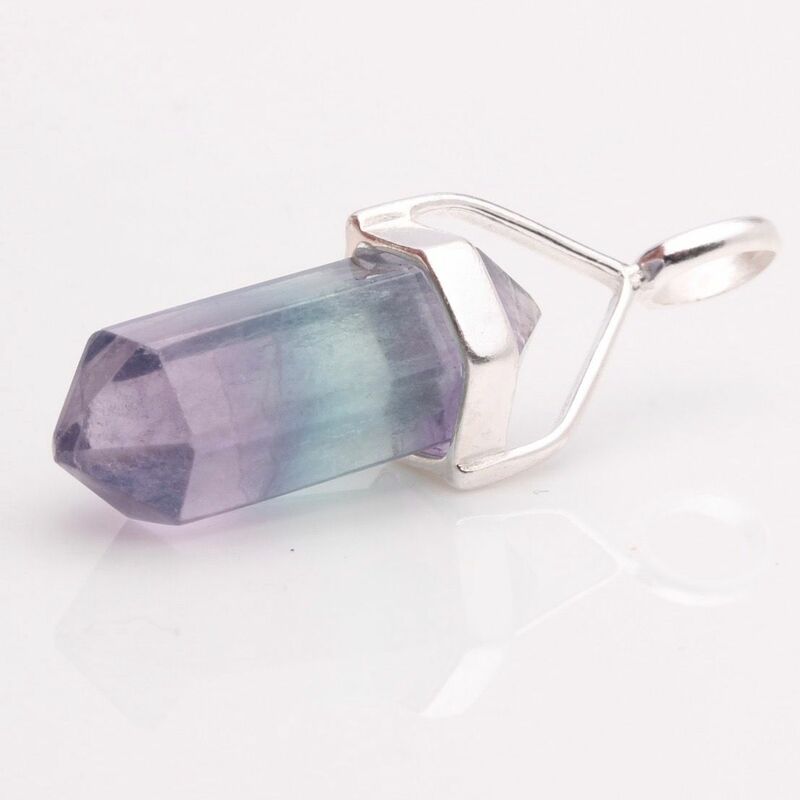 Many who have experienced the power of Fluorite have labelled it the Genius Stone. It is a superb stone to have with you when studying as it focuses the mind a dispels mind chatter it has the ability to influence the activities that occur on the mental plane of consciousness and amplifies, focuses, expands and creates new pathways for the mind. Other properties include discernment of truth and clear decision-making, bringing order to mental chaos, increasing objectivity, enhancing creativity, curing mental disorders, easing meditation and freeing one from bad habits.